Street numbering has changed through the years and the Barnard Block addresses have included 6-8-10-12-14-16-18 on the main level since opening. The Simoene building to the north has also included numbers 2-4-6-8 when three store fronts where located there. To avoid confusion as to business location the current 2010 numbering above is used for all former businesses that may have been assigned a different number in older street directories. 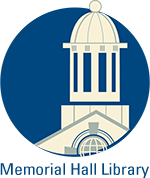 Construction of the Barnard Block began in mid summer of 1910 and was completed in March of 1911. Before the foundation could be built two historic buildings on the site had to be razed. The wooden Pray House and the brick Col. Benjamin Abbot building were vacated by early July as the site preparation began. Aug. 26, 1910 pg. 1 AT While cleaning the bricks taken from the block which has been torn down in the Square, one of the workmen found a cent bearing the date 1775. The cent was embedded in there by one of the workmen who erected the building. The building was built by Henry W. Barnard (1868-1938) the son and business partner of his father Jacob W. Barnard who had established a shoe manufactory about 1855. The business was conducted in buildings on Barnard Street in 1885 until closing in 1931. J. W. Barnard & Son was formed in 1894 with Henry in general charge of the business, which employed about 200 persons. All goods were hand sewed. The substantial fortune which accrued to the distinguished Barnard family resulted in many real estate investments. Jacob Barnard purchased the former Benjamin H. Punchard mansion at 8 High St. in 1891 from Peter D. Smith. The Barnard family continued to live here until 1963. Four commercial buildings have born the name Barnard Block or Building. First the three-story wooden building on the west side of Main St. formerly at #27 and razed in the 1980’s renamed "The Belmont". The second Barnard Building was built in the summer of 1883, the brick building on the corner of Barnard Street & Main St. at #36 – 38. The third Barnard Block was the Abbott - Russell block formerly on this site and purchased by Barnard in 1889. The forth is the now current building above at #8 - #16. 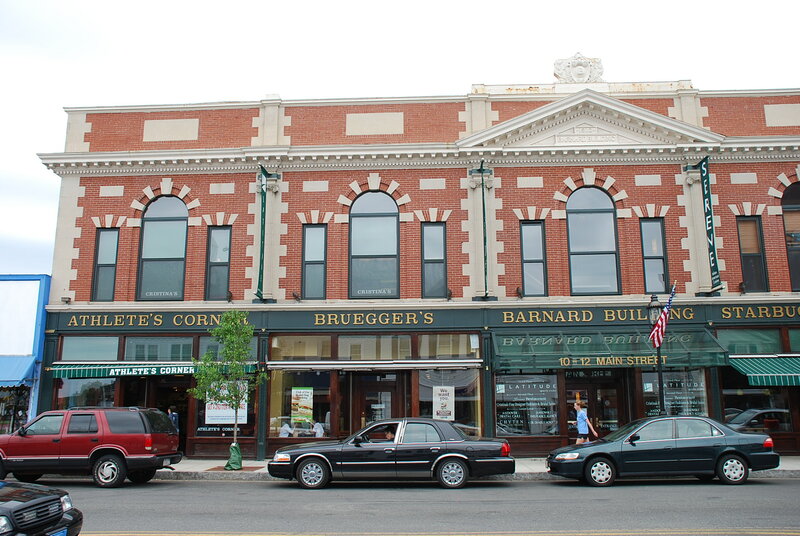 At one time, Jacob Barnard was the largest real estate owner in Andover with his descendants continuing that interest in the town’s physical development. The building design embraces a lively stone trim of classical revival details. Engaged Ionic pilasters, Palladian windows, facade pediment, and corner quoins make this one of the downtown's most inspired and well developed 20th century buildings. 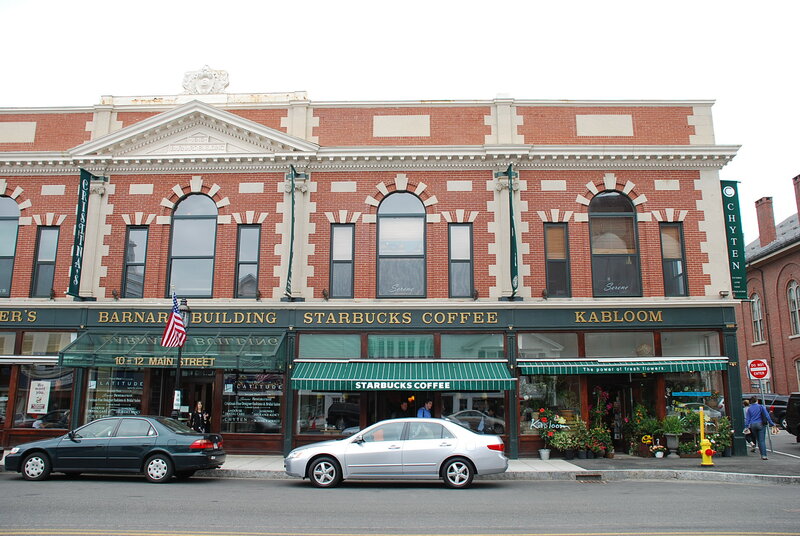 The original design had five storefronts on Main Street, a Hall for functions and storerooms on the second story. The entrance for the second level was on Park Street. Through the years the storefront facades changed with each new business reflecting the styles of the period. By the mid 1980’s the front of the building was a hodgepodge of different designs and the building had been altered to three stores at street level. Store walls between #10, 12, & 14 were removed to create one large space for Cole’s Hardware which opened in 1955. 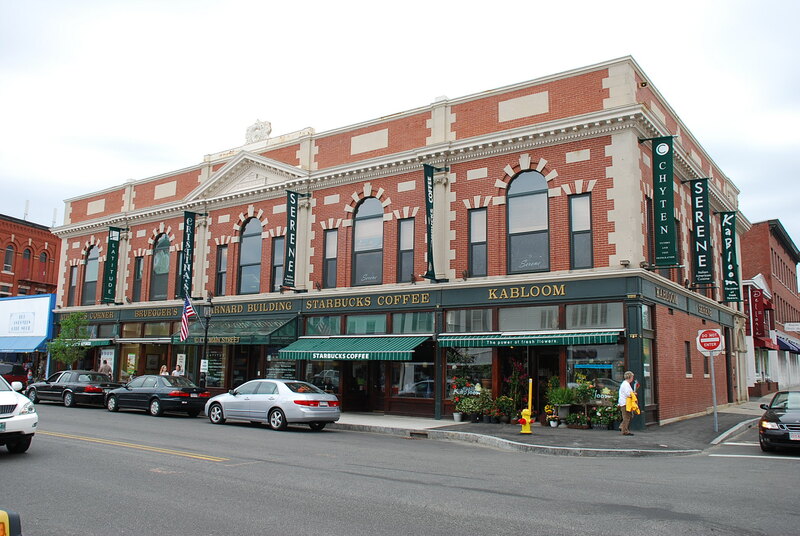 In July 1984 the building and Cole’s Hardware (1950-1984) were purchased by William J. Scanlon, owner of Scanlon’s Hardware at #45 Main Street and moved to this location. Regrettably closing in September 1990, this business was Andover’s oldest continuously operated hardware store and only remaining one in town. Originally established in the old brick Abbott block across the street by Henry Abbott in the 1850’s-1877, purchased by Charles Carter 1877-1880, McLawlin & Baker 1880-1884, Henry McLawlin in 1884-1906, Walter I. Morse 1906-1928, W.R. Hill Hardware 1928-1970, Scanlon 1970-1990. Major renovations and restoration were begun in 1990-1991. A new center entrance and atrium was created and four stores returned to the main level. The façade was restored to reflect the original plan of 1910. Ford’s restaurant and Hughes Pharmacy were the only tenants to remain during the construction. Shops and a work out center were created on the upper level with additional professional office space in the basement. Unified signage and color scheme create a cohesive and balanced design. The building is one of 42 Andover structures individually listed on the National Register of Historic Places. It is also is within the Main Street/Locke Street National Register Historic District. April 14, 1911 Advertisement – Opening of Andover’s New Dry Goods Store – Barnard Block – Saturday April 15th. 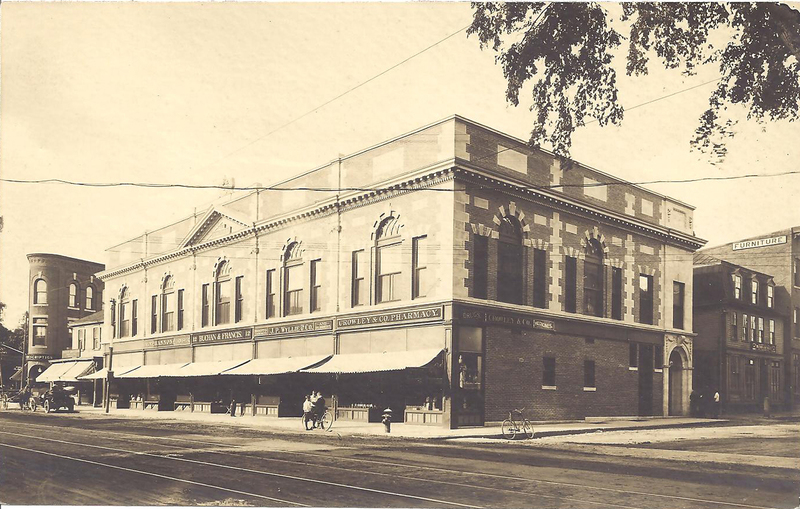 The first tenants in 1911 were; #8 - F. G. McDonald’s “Dry Goods Store” on April 15th but transferred ownership to Miss M. F. Porter in May 1911, only a month after opening. #10 P. J. Hannon tailor shop by March 10th, the center store #12 Buchan & Francis furniture dealers 1911-1930 also used the second floor store rooms, #14 John P. Wyllie & Co. shoe opened March 4th, and #16 Crowley & Co. drug store on the corner the by the end of March. Wyllie sold his Family Shoe Store at #14 to C.J. Francis & Geo. W. White in 1915. Later businesses included; Following Porter’s Dry Goods Store at #8 Bessie J. Hiller –The Hiller Co. 1913 – 1935, #8 Irma C. Beene’s Ladies Shop 1939-1960’s, #8 Look Photo, #10 The Crowley Co. tailors 1926, #10 Langrock’s Andover Shop men’s clothier 1926, #10 First National Stores Inc. 1932-1955 which also expanded into #12, #10 Cole’s Hardware 1955-1984 which expanded into #8, Scanlon’s Hardware July 26, 1984 – Sept. 1990. Scanlon also constructed a large addition to the rear of the building to expand the square footage of the hardware store. #12 July 29, 1929 AT – The Cloverdale Co. grocery has leased the vacant store in Barnard block, formerly occupied by Charles S. Buchan Furniture dealer. Jessie West of Summer St. will be the manager of the store. #14 Henry Hyland’s Shoe Store 1935, #14 Art-Tex Shop Inc. 1941, #14 Ford’s Coffee Shop 1944 – 1994. A corner drug store at #16 had always occupied this location until shortly after the 1990 renovation. Crowley’s Pharmacy 1911-1924 sold to Lowe 1924-1943 who moved down from the Press Building #60, then Dalton’s Pharmacy in 1943-1967, Hughes Pharmacy1967- March 1, 1991. Allan Hughes died on January 9, 1991 ending 143 years of an Andover owned drug store business that began as John J. Brown’s Apothecary in 1843. CVS bought the stock of Hughes estate. Kaleidoscope women’s clothing followed at #16-18 in 1991, then Chocolate by Design in 1993, followed by Kabloom Florists which was bought out in 2010 to Kokee Flowers. After restoration in 1991; new tenants; #8 Athlete’s Corner May 16, 1992 – 2009 Tom Belhumeur owner, now Indra Salon 2009, #10 Gentry’s menswear of Lawrence owned by Bill Griffin opened Nov. 1991- closed Dec. 1992, now Bruegger’s Bagels Sept. 29, 1993 owned by Tom Stilianos, #14 Ford’s Coffee Shop 1944 - April 2, 1994 owned by Ford Powers, then Heseltine and in 1954 -1994 owned by Tom & Stella Koravos before closing. The Coffee Connection was to open but was purchased by Starbuck’s coffee shop and opened June 1994. Second floor; The second floor originally housed a meeting hall that was used by the American Legion and the United Workers, the Andover Furniture Warehouse 1950’s - 1970’s. Bel Canto Italian Restaurant 1992-1993, Vincenzo’s of Andover Inc. March 1993-2007, Serene’s 2007-2009, Casa Blanca Mexican 2010. Silverado Women’s Fitness moved to the new renovated space from Park Street Village, followed by Gold’s Gym and Latitude Gym. Mid-Asian Imports and Christina’s Bridal Shop have occupied the second floor shops. Essex Northern Registry Deeds, Lawrence, MA.